Talks between Fiji Airways Flying Fijians head coach John McKee and our players playing in the Super Rugby competition are indeed very en­couraging. And what makes it exciting is the revelation by Mr Mc­Kee that rising Crusaders winger Manasa Mataele and Chiefs loose forward Pita Gus Sowakula have indicated their willingness to play for the Flying Fijians at next year’s Rugby World Cup in Japan. 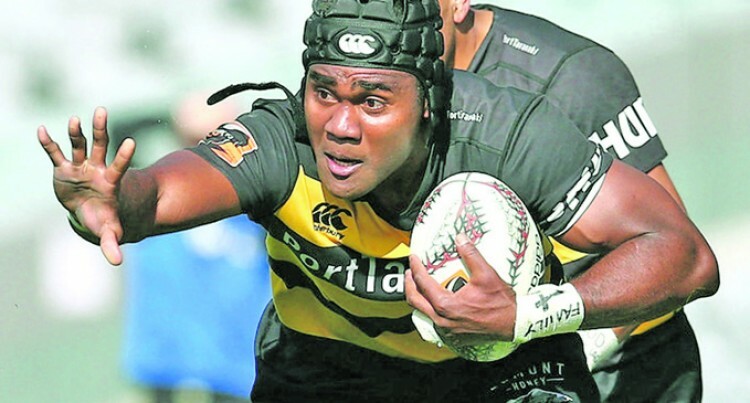 Then there are those such as rookie Highlanders wing­er Tevita Nabura, Filipo Daugunu of Queensland Reds, Brumbies No.8 Isi Naisarani and Rob Valetini along with former Fijian Under-20 and Auckland Blues prop Alex Hodgman. If most of these players are available then it’s going to add depth to the pool of players that are currently being monitored by Mr McKee and his coaching crew. This does not mean that we turn a blind eye on our local-based players. If local players are able to meet the requirements set, then so be it. We want as many players as possible to allow Mr Mc­Kee to field the best possible side for the RWC. This is important because we are not there just to make the numbers, but to go beyond the quarterfinal stage. We’re grateful to the Fiji Rugby Union (FRU) for en­suring that this is happening because Mr McKee has al­ready taken several trips to England, France, Australia and New Zealand to talk with players, clubs about the players’ availability, agents and monitoring their perfor­mances as well. And it would be best if Mr McKee would get some of these players over to don the Flying Fijians’ jumper in the June Test matches against Romania, Georgia and Tonga in Suva. Although they are Tier 2 teams like us they should provide us very stiff competition. The Georgians are no pushover. We have played them twice and won only once. We last played them on June 24, 2016, at the ANZ Stadium in Suva, where we lost 14-3. Against Romania, we’ve won two of our three Test encounters and for Tonga we all know the rivalry with them over the years. Also, this is the best way to blood our new players (despite the level of club competition they are playing either overseas or locally) to what rugby is like on the international stage. We’re tracking well and if things work out then we should be a force to be reckoned with come the 2019 RWC.